Saigon Phu Quoc Resort is considered as one of wonderful resorts in Phu Quoc, which contributes to bring guest a memorable holiday. Having 100 guestrooms, bungalows, and villas with different type, the resort is one of the best choice in Phu Quoc Island. Saigon Phu Quoc Resort & Spa is located at No. 62 Tran Hung Dao Street, Duong Dong Town, Phu Quoc Island, Kien Giang Province. This is one of Phu Quoc 4-star resorts having tourists’ good impression for its excellent services and modern facilities. Spreading over 4 hectares, the resort has 100 guestrooms, villas, and bungalows to satisfy different demands of customers. All of these accommodation are very spacious with the area fluctuating from 33 – 86 square meters. 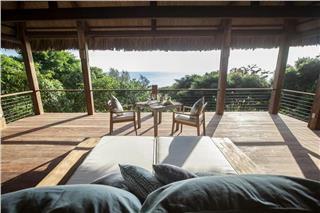 Being well-equipped with in-room amenities, each room/villa/ bungalow will satisfy even if the most demanding guests. 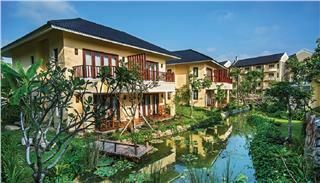 Saigon Phu Quoc Resort is appreciated for its advance facilities. The resort has 3 restaurants and 2 bar to serve guests foods and drinks. Besides, guests can find other useful facilities such as beauty salon and spa, conference hall, facilities for disabled guests, ATM/cash machine on site bar… In addition to general services such as 24-hour front desk, 24-hour room service, airport transfer, shuttle services…, Saigon Phu Quoc Resort also provides unique services involving sauna, steam bath, Jacuzzi, living room with bar & kitchen (President 2bedrooms), 24/7 in-room services, ATM, air & boat ticket, trekking, snorkeling & diving, fishing & squid fishing. Staying in one of excellent Phu Quoc resorts, guests will have a wide selection of recreational activities and excursions to truly enjoy their holiday in the most comfortable way. 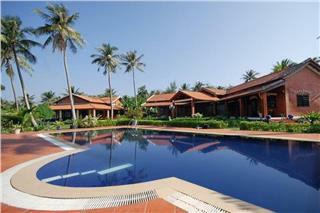 Stretching over four hectares on the West Coast, Saigon Phu Quoc Resort & Spa owns 100 beautiful bungalows and villas. Each of them consists of bedroom(s), living room(s), bathroom, sofa bed, bar connecting with dinning space and kitchen. These villas and bungalows are well-appointed with in-room facilities such as Balcony, Garden View , TV, Telephone, DVD Player, CD Player, Video, Satellite channels, Cable channels, Flat-screen TV, Safe, Air conditioning, Desk, Sitting area, Tile/Marble floor, Shower, Bathtub, Hairdryer, Bathrobe, Free toiletries, Toilet, Bathroom, Slippers, Bathtub or shower, Tea/Coffee maker, Minibar, Refrigerator, Electric kettle, Wake up service/Alarm clock, Wake-up service, and so forth. During a stay in Saigon Phu Quoc Resort & Spa, guests will be offered a wide range of activities and recreation. There are available recreational facilities for guests such as sauna, steam bath, Jacuzzi, living room with bar & kitchen (President 2 bedrooms), 24/7 in-room services, ATM, air & boat ticket, trekking, snorkeling & diving, and fishing & squid fishing. Besides, exciting excursions awaits guests to participate in like fishing, squid fishing, snorkeling, scuba diving, cooking instruction; and a sightseeing tour Fishing village - Pearl farm – Pepper farm. The resort also offers daily tours, package tours, honey moon package, wedding anniversary on request. Being defined as one of deluxe resorts in Phu Quoc, Phu Quoc Resort and Spa has three restaurants (Sunset Restaurant, Saigon Restaurant, and Daily BBQ Dinner Buffet) and two bars (Yoyo Bar & Sunset Bar) to serve guests foods and drinks. + Christmas Eve Gala Dinner (24 Dec): 89 USD/adult; 40 USD/child (under 12 years old). + New Year Eve Gala Dinner (31 Dec): 89 USD/adult; 40 USD/child (under 12 years old). + Lunar New Year Eve: 69 USD/adult; 30 USD/child (under 12 years old). + Children from 1 to under 6 years old: no room charge, and sharing bed with parents. + Children from 6 to 12 years old sharing bed with parents are subject to 5 USD of additional charge for breakfast. Extra bed shall be subject to additional charge as quoted. 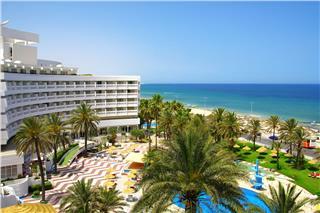 + Extra bed rate applicable to children of 12 years old or more sharing room with parents, breakfast inclusive. + Extra bed fee: USD 35/ person. + If cancelled or modified up to 7 days before date of arrival, no fee will be charged. 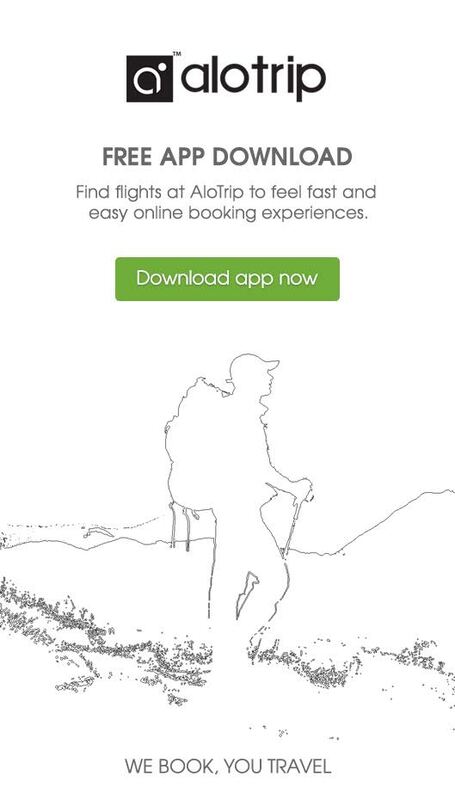 + If cancelled or modified up to 2 days before date of arrival, 100 percent of the first night will be charged. + If cancelled or modified later or in case of no-show, the total price of the reservation will be charged. Having unique and spectacular architecture style, Chen Sea Resort & Spa Phu Quoc - Centara Boutique Collection is one of best deluxe resorts in Phu Quoc. The resort is highly appreciated for its professional service manners and high-end facilities. 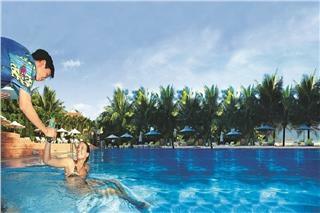 Eden Phu Quoc Resort is defined as a 4-star resort. This is an ideal location where guests can organize customer workshops, professional meetings, and teambuilding games or relax and play different water sports in the Pearl Island of Vietnam. Lying along Ba Keo Beach and the most famous tourism road of Phu Quoc Island, Terrace Resort is a new open and perfect concept designing to bring guests natural spaces with sea, trees, and flowers. 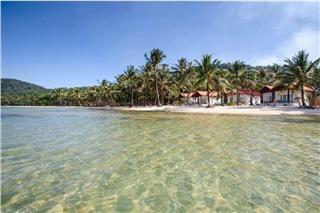 This is one new Phu Quoc resorts launching in 2013. 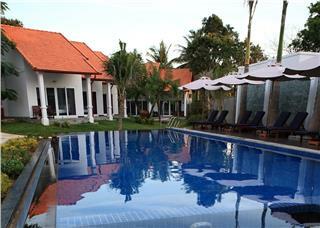 Cassia Cottage Resort is one of 3-star resorts in Phu Quoc. The resort is an ideal place to open your heart and eyes and take a deep breath to enjoy peaceful life. Just walking on the beach or listening to the gecko’s song, you can feel totally relax. Mango Bay Resort is one of Phu Quoc 3 star resorts lying on Phu Quoc Island, an island in the Gulf of Thailand, the size of Singapore, adjacent to Cambodia, and belonging to Vietnam. This is an unusually low density resort with only 40 bungalows. Peppercorn Beach Resort is one of family run Phu Quoc resorts lying on the tranquil northern shores of Phu Quoc Island. The resort will bring guests unique experience just few steps from quiet and almost deserted beach with beautiful seascapes. Vinpearl Resort Phu Quoc is a super project of Vingroup invested in Bai Dai Beach. The luxury resort is expected to appeal a great number of tourists. Staying here, guests will be provided with a series of best services of accommodation and entertainment.